It’s easy to get inspired and pour time and money into a creative business idea that you “just know” will be a hit only to discover there isn’t a market for it. There are specific actions you can take to ensure even the most creative endeavor makes money and doesn’t flop. 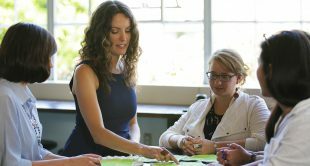 We’ve assembled a collection of business insights from experienced creative entrepreneurs who can help you develop your creative ideas into business endeavors that thrive. Hi! Can you tell us who are you and what you make and where we can find you on online? My name is Elizabeth Madariaga. I’m the Channel Head here and CreativeLive and run a small business showcasing and selling a selection of handmade goods by a variety of independent artists. You can find me on Instagram @smallbatchgifts. Ashley, Megan, Katie, Elizabeth, and Kari. I’m Ashley Nickels. I’m a teacher, quilter, bag maker and writer. You can find me at alphabetsummer.com or on Instagram and Twitter at @alphabetashley. Hi. I’m Kari Chapin and I can be found online at karichapin.com, and both Instagram and Periscope: @karichapin – I write and sell books and productivity tools which you can find on my website. I am in the process of starting a new business called Pep Talk Press and I have a lot of cool things coming out this summer. So there are lots of ways to sell your stuff. You can open an Etsy shop, sell at craft fairs, wholesale to retailers, sell from your own site, and so on. Which sales platform do you lean towards and why? Katie: I love wholesale. I love the relationships I’ve been able to build with my retailers and the fact that they come back for repeat orders as I release new product. But I’m also a big believer in diversifying your revenue streams so I encourage my clients to consider retail, wholesale and even things like licensing if it makes sense for the work they do. Just make sure that your retail and wholesale strategies align properly. Elizabeth: I’ve always liked the idea of a curated retail brick & mortar, but the economic realities of the Bay Area make that idea impossible. So when I started my business I built it around the idea of doing pop-up stores. It gives me flexibility and it’s a fun way to still have a physical space without taking on the responsibilities of a full-time store. Ashley: So far in my business, I have sold online at my Etsy shop, and at craft fairs. I have had the most success at craft fairs, partly because my product (my pop-open bags) are the most successful when people can experience them in person (touch them, see how they “”pop”” open, see the different sizes, etc.) As a small and starting out business, I have seen that it is hard to sell solely on Etsy. Kari: Always: Your own website. You’ll have full control there and no other platform can offer you that. From there, I think it depends on what you want for your business and where you think your customers want to buy from you. If you like or need in-person connection then craft shows would be a great match. If you are able to produce at wholesale quantities… then stores are a great thing for you to explore. Decide what you want and what you can do and then make your sales channel decisions based on that. Megan: My two favorites are wholesale to retailers and selling from your own site. Selling to retailers is one of the fastest and most controllable ways to boost your revenue. You can take action and reach out to stores rather than waiting for customers to find you. And stores always need products to sell, so it’s much easier selling to a buyer than an end customer. 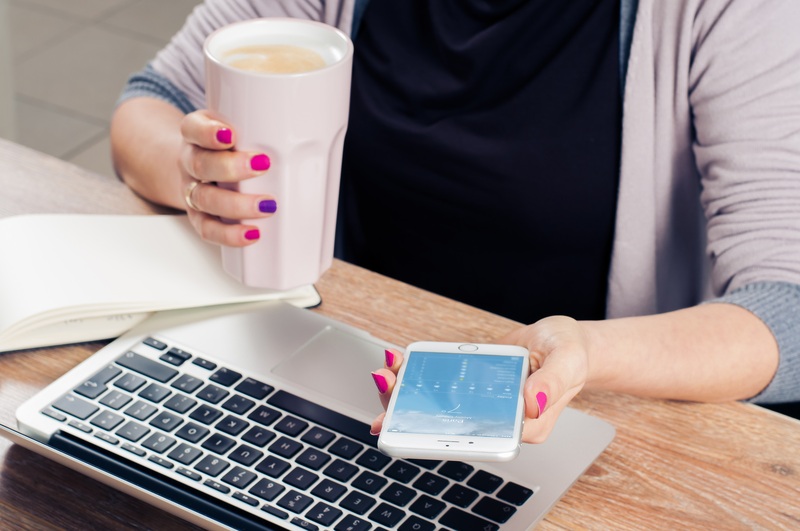 I’m also a fan of selling from your own site because you have complete control over the customer’s experience and it’s much easier to capture email addresses and maintain contact with customers. 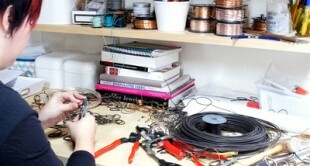 It can be difficult to make the transition from making for fun, to making for money. What is the most important thing for a beginner to know when they make that leap? Katie: Remind yourself that this is not a hobby and you’re not playing business; you’re running a business. Therefore you need to look at things with from the viewpoint of a CEO, founder or owner — when making decisions, ask yourself “what is the best option for this business?” Be willing to take calculated risks and don’t be afraid of failure. Ashley: It’s scary! But also don’t get discouraged if it doesn’t happen right away. It takes time (a LOT more than you think) to make traction and earn a living wage. If it’s truly your passion, don’t give it up! Kari: Work is work, my friend. Whenever the end result becomes money, it means you are working. Be sure that the money has a bigger value to you than the feeling of fun or stress relief that you get from making for fun. Remember that just because you COULD make money from what you make, doesn’t mean you HAVE to. It’s okay to just enjoy something without monetizing it. I promise. 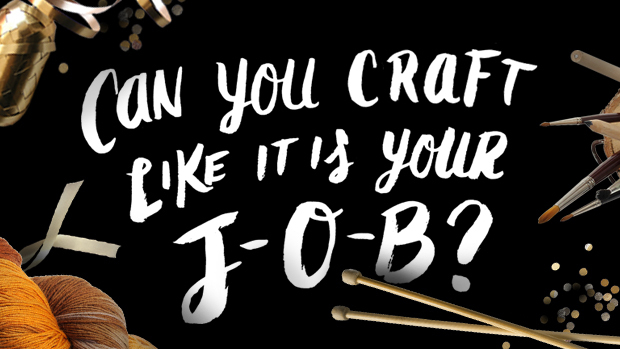 Not sure if you want to turn your handmade hobby into a full-fledged business? Our awesome infographic can help. Megan: Price so you’re profitable at the wholesale level! (Which gives you even more profit when you sell at retail.) And keep in mind that your price needs to cover your materials, your time (both your making time and your marketing/admin time), and the overhead costs associated with running a business. Remember that the goal of a business is not just to break even or cover expenses but to make a PROFIT and be sure to price accordingly. Each of you have discussed pricing in your CreativeLive classes or on panels, but can you give us a quick summary of how you think makers should approach pricing? Katie: I’ve found that many makers undervalue the time involved in creating their product, and this is reflected in their prices being too low. I encourage makers, especially those creating products themselves by hand, to really look at their work as art (because it is!) and to make sure they are accurately factoring in their labor costs into their pricing. Most do a great job of determining their material costs, but the labor costs can be trickier to calculate. Make sure you’re paying yourself a fair wage and working that into your pricing! And, don’t be afraid to raise your prices! 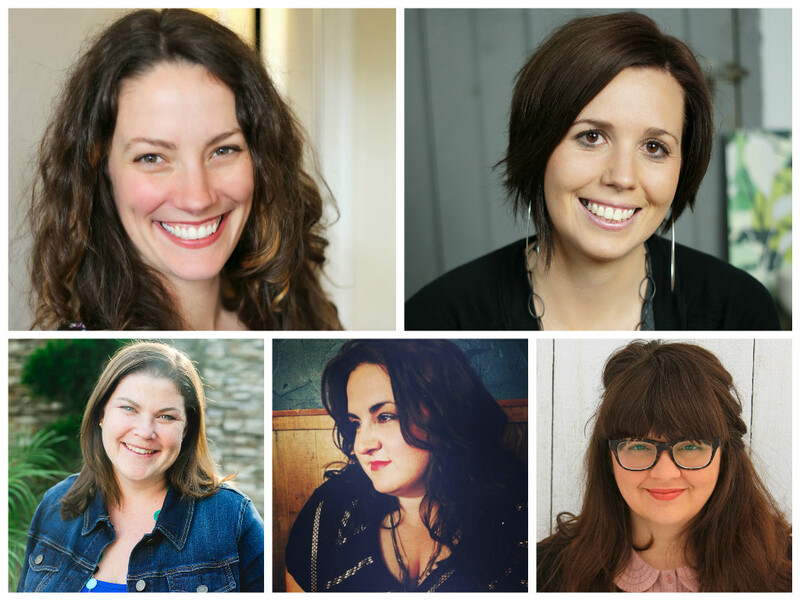 Elizabeth: Working with so many different artists has really shown me that pricing is all over the map. There are artists I’ve worked with who I think are pricing their goods significantly below what they could get for them. And there are others that I think are pricing too high for the quality. In general, when you make something by hand the price is naturally going to include the actual time it takes to make it, but often I feel people don’t factor in the value of the piece correctly. Ashley: Do the math. For teaching, you should always calculate not just your hourly rate, but know if you have to provide materials yourself and work that into your rate. Also, keep in mind if you have to travel, that should be worked into the price. But, you have to start somewhere, and you can always adjust your price. 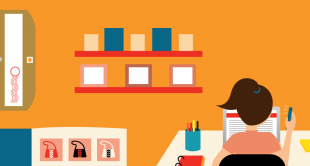 What is the biggest opportunities makers miss when selling to retailers? Katie: Not putting enough emphasis on building relationships with buyers. I think sometimes people forget that we’re all people doing business and that people want to buy from brands they know, like and trust. Flexibility is something that I encourage all my clients to have when selling wholesale. If a retailer is $5 short from meeting your opening order requirement, let it slide. If something is back-ordered, ship it for free when it comes in instead of making the buyer pay twice for shipping. Great customer service, communication and flexibility will go a long way in building a relationship where the buyer will continue coming back to order more. Elizabeth: Catalogs and line sheets are important, as is having really clear product photography. I worked with several artists who either have poor renditions of them, or they have nothing at all beyond their website. It makes it difficult for me to visualize the collection as a whole, and how it will fit in with the other goods I sell. It also makes me take that artist less seriously – if you are charging $100 wholesale for a piece, which I then have to price at a minimum of $200, and you don’t have a catalog or a clear picture of what I’m buying, it’s a problem. Megan: The magic in selling wholesale is not the initial order, but the reorder! That means following up with your stores is key. It can be easy to drop the ball on follow up when things get busy, so I suggest blocking out time on your calendar every few months to reach out to all the stores that haven’t ordered recently. This one simple action could have a huge impact on growing your wholesale sales. And don’t assume that if a store isn’t re-ordering it’s because they aren’t selling. If they’ve sold through all of your pieces, they may actually have forgotten about you because there’s nothing left on the sale floor! Ashley: Since my business is multi-faceted (I sell a service– teaching– and an actual product), it’s hard to keep it all straight sometimes. But, it all falls into the category of “business,” and it’s important to recognize what your strengths are and capitalize on those. Thanks! Megan: If the market your in can’t support the prices you need to charge to make a living, it’s not the right market for you! Focus on putting your products in a context where your prices align with what the customer is used to seeing and you’ll see so much less price resistance. 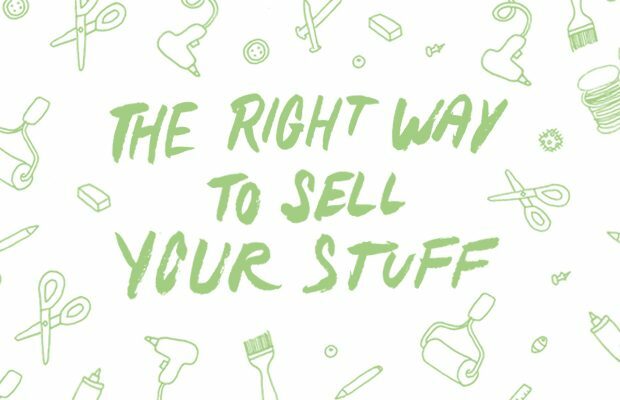 Want more great insights on selling your handmade items? 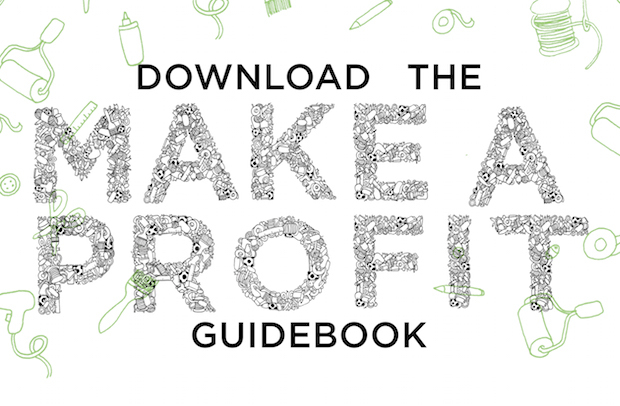 Download the the Make a Profit Guidebook. 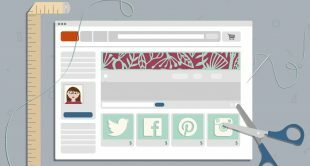 It covers everything from how to use social media for business to advanced Etsy selling techniques.